What do the world&apos;s tallest man, an acclaimed figure of the American art furniture movement, and four green guys named Donatello, Michaelangelo, Lenoardo and Raphael have in common? All will be featured in new exhibits on display at museums across Rochester, NY this fall. Learn more about these new exhibits - including details on how to visit - by reading our guide to Fall 2017 exhibits in Rochester. On display now through January 2, 2018. The Science of Ripley&apos;s Believe It or Not!® presents an extraordinary collection of intriguing objects and astonishing artifacts from Ripley&apos;s Believe It or Not!®. The exhibition allows visitors to explore the real science behind the unbelievable, and promises something of interest to everyone. Believe It or Not!®... it&apos;s here! The Science of Ripley&apos;s Believe It or Not!®—a joint production between Ripley Entertainment, Inc. and Science North—will be at the RMSC for a limited time only, through Tuesday, Jan. 2, 2018. 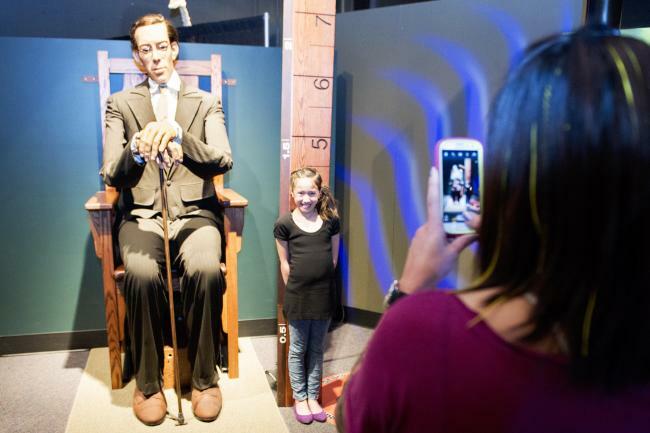 Measure up against Robert Wadlow, the world&apos;s tallest man, who grew to 8-feet, 11-inches (2.72 m) tall! See a calf with two faces, a megalodon shark jaw, and a portrait of Einstein made of toast. Experience some of the world’s most perplexing optical illusions, investigate incredible examples of body modification, and celebrate the life and legacy of Robert Ripley, the explorer and adventurer! Visitors will also be able to explore Rochester&apos;s own unbelievable past with items from RMSC’s collections, including the eccentric snakeskin wardrobe of Rattlesnake Pete, the incredible hair products of Martha Matilda Harper (the greatest entrepreneur you&apos;ve never heard of), and examples of turn-of-the-century crafts made out of human hair. Take a Selfie with the World&apos;s Tallest Man! At RMSC’s East Avenue entrance, Robert Wadlow, the world&apos;s tallest man, is there to greet you! Take a selfie with Wadlow and share it on Facebook, Twitter or Instagram with #RMSCripleys for a chance to win a family four-pack of passes to the exhibition. One post will be randomly selected as the winner each month now through December and the photo will be shared on RMSC social media. Always on the lookout for new oddities, Ripley’s appraisers will be at the RMSC to offer free “odd-praisals” on Rochesterians’ one-of-a-kind collectibles. Watch for more info coming soon at rmsc.org. The Science of Ripley&apos;s Believe It or Not!® exhibition is free with regular museum admission: $14 adults, $13 seniors and college students with ID, $12 ages 3 to 18, free for children under 3 and RMSC members. Complete event information, hours, directions, and admission are available at rmsc.org. For group reservations and rates, call 585.697.1942. Nickelodeon’s Teenage Mutant Ninja TurtlesTM: Secrets of the SewerTM runs now through January 1, 2018 at The Strong. This is the first-ever museum exhibit featuring the Teenage Mutant Ninja Turtles. The exhibit is produced by the Indianapolis Children’s Museum. Journey to the secret, underground hideout of the beloved crime-fighting turtles Leonardo, Donatello, Raphael, and Michelangelo, and discover the power of teamwork, collaboration, and problem solving as you work your way through puzzles, mazes, and obstacles. Train alongside the Turtles with their mentor, Master Splinter. Fine tune your skills in the dojo (a martial arts training area) by slicing and dicing pizza with virtual weapons in a game modeled after the popular Fruit Ninja video game. Work with friends and family to build a bridge and cross the sewers to visit other interactive activities. 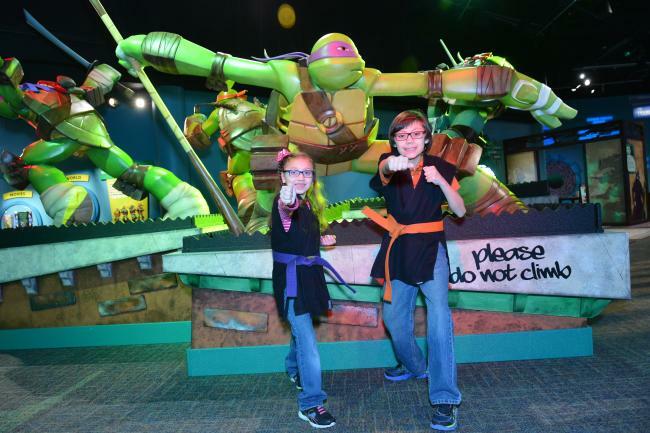 Spend your school break training like a Teenage Mutant Ninja Turtle during Teenage Mutant Ninja Turtles School Break at The Strong museum from Saturday, December 23 through Monday, January 1. Create a ninja turtle mask and journey through the museum to take on ninja challenges. Test your agility, strengthen your muscles, and use superior observation skills in special activities throughout the museum. Then, practice your new ninja prowess in Nickelodeon’s Teenage Mutant Ninja Turtles™: Secrets of the Sewer™ exhibit and navigate a rope maze, assemble an electrical circuit puzzle, build a bridge, and more. Nickelodeon’s Teenage Mutant Ninja TurtlesTM: Secrets of the SewerTM and Teenage Mutant Ninja Turtles School Break are included with general museum admission fees. General museum admission is $15 for ages 2 and older and free for members and children under 2. Please see the museum hours and admissions page for more information at museumofplay.org/visit/hours-admission-fees. 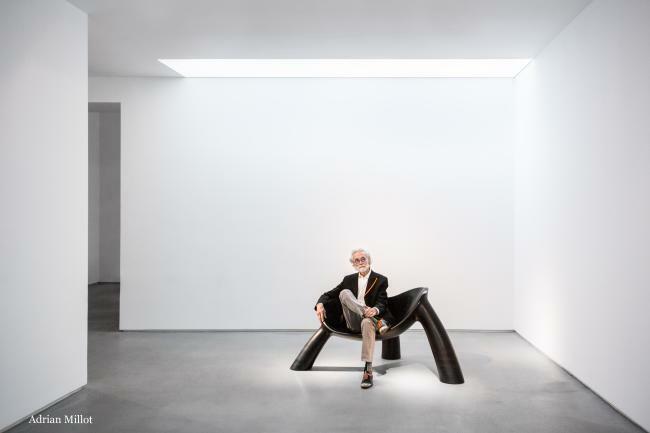 A master furniture maker, designer, sculptor, and educator, Wendell Castle is now in the sixth decade of a prolific career that began in 1958—one that parallels the emergence and growth of the American studio craft movement. The exhibition is the largest yet of this internationally renowned artist and his groundbreaking achievements. His robot, used for computer-controlled milling, is called Mr. Chips. FREE for children 5 and under; FREE for University of Rochester students, faculty and staff. This master class in creativity allows you to draw, talk with and learn from artist Wendell Castle in his exhibition. Limited enrollment. Call Rachael for more information at 585.276.8956. Comprises two exhibitions: Abandoned and Rescued, the intriguing behind-the-scenes tale of the recently acquired collection of Indian films and posters (the largest such collection in the world! 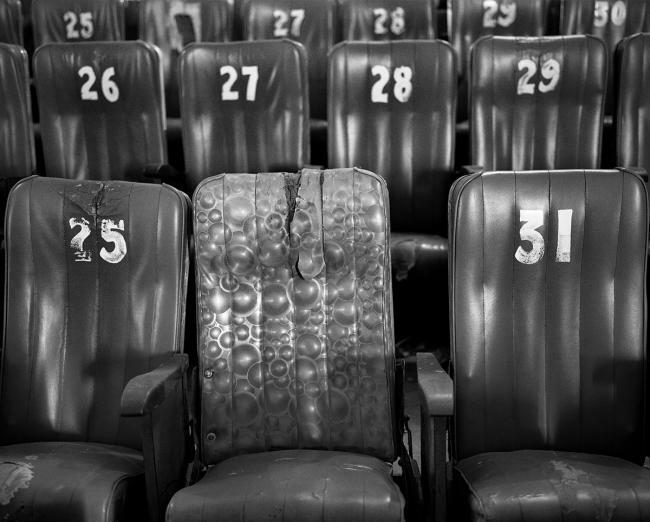 ), and Nandita Raman: Cinema Play House, a series of poignant black-and-white photographs of single-screen cinemas in India, many of which are threatened by the increasing number of multiplex theaters. Exhibition Preview, Thursday, November 9, 6 p.m.
Devdas, Film Screening, Thursday, November 9, 8 p.m.
Gallery Talk with Nandita Raman, Friday, November 10, 12 p.m.
Om Shanti Om, Film Screening, Thursday, December 7, 7:30 p.m.